Sunsight, continuing its commitment to be the industry leader in alignment solutions, has developed a patent-pending application for remotely monitoring the physical alignment of cellular antennas in the field. 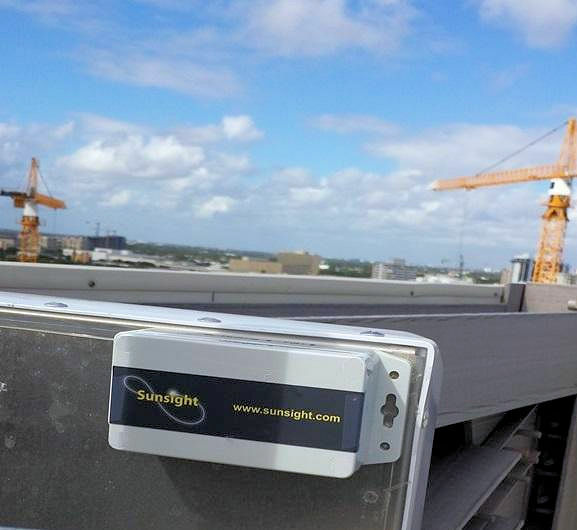 Using IoT-based leave-behind alignment sensors and cloud-based management and reporting, Sunsight’s Antenna Alignment Sensor can monitor antenna positions for RF panel, DAS, and small cell antennas and provide an alert for any movement due to weather, seismic or other physical events. Accurate and timely reporting of alignment issues minimizes the amount of time networks are impaired or off-line. Targeted repairs decrease overall maintenance costs by preventing unnecessary truck rolls which in turn also improves network uptime and customer satisfaction reducing customer churn. The Antenna Alignment Sensor system is not limited to monitoring antenna alignment, with applications for monitoring the alignment of devices well beyond the telecommunications world. Monitoring of alignment for critical high availability QoS systems is extremely important for utility, transportation and emergency services, as well as commercial telecommunications. The Sunsight IoT Antenna Alignment Sensor offers a cost effective and practical solution for those critical industries. The Sunsight Antenna Alignment Sensor is the least expensive, easiest to maintain alignment monitoring system ever developed. There are no per-site controllers or other equipment to deploy, no cabling, no configuring Wi-Fi, no Ethernet, no managing IP addresses, no external controller antennas, no Windows-based controller software, and no local power requirement – just one battery powered sensor mounted on the monitored device. The Sunsight Antenna Alignment Sensor can be installed in just three easy steps. Power on the battery-operated sensor. Sensor starts to report to the cloud immediately. Alarms, Measurements, and Reports delivered automatically!